Three-quarters of the most upwardly-mobile private companies in the U.S. are active on Twitter, reveals a new study. 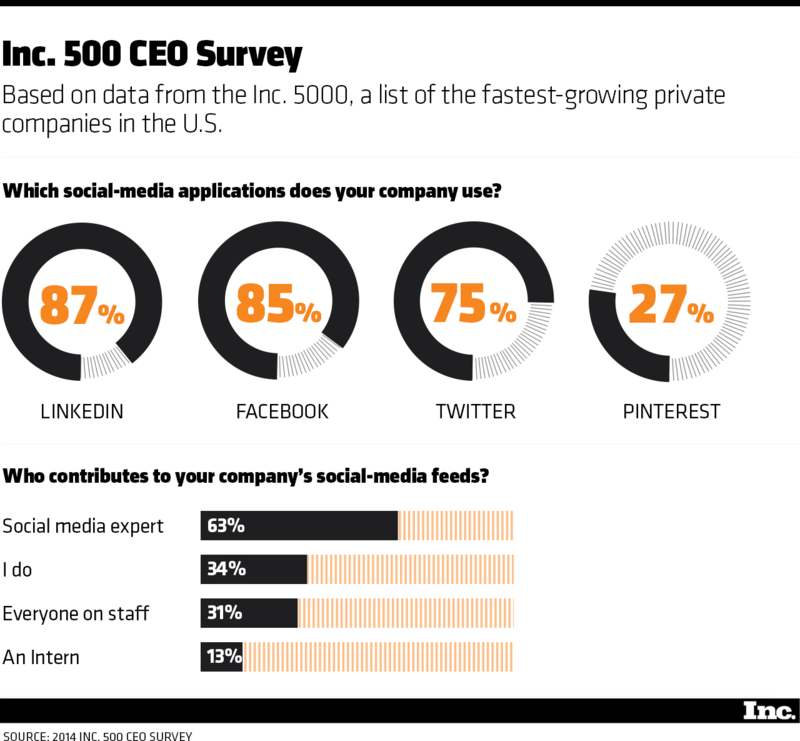 The Inc. 500, which ranks America’s fastest-growing private companies, polled CEOs on their firm’s social media usage and found that 75 percent were on Twitter, compared to 87 percent for first-placed LinkedIn and 85 percent for Facebook. About one in four (27 percent) used Pinterest. Almost two-thirds of Inc. 500 companies use a social media expert to update their feeds, with 13 percent passing this responsibility on to an intern.